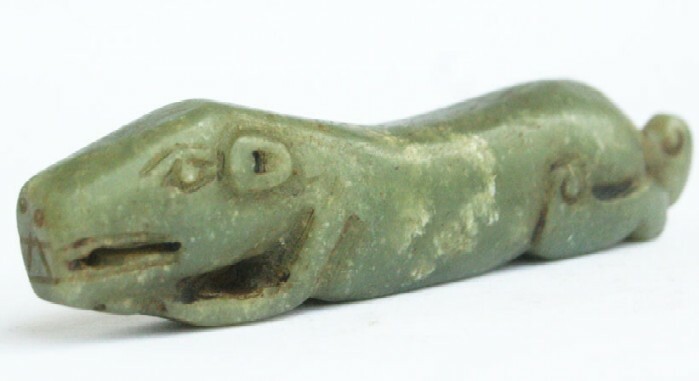 Accurately carved in Neolithic style (but of course of later date), this charming jade Dragon or Mythical Animal with teeth and nostrils depicted, eyes and ears properly carved, suspension holes for use as pendant, good "fondling stone," or for display. 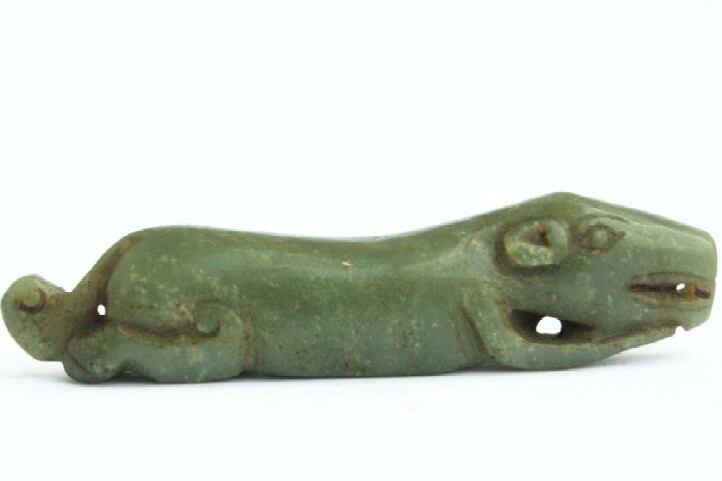 Medium celadon nephrite jade with attractive white inclusions. Possibly an older piece, re-polished. Another view here.